He joins as senior vice-president, sales and operations. Full-service digital agency BC Web Wise has appointed Saurabh Bhatnagar as its new senior vice-president, sales and operations, North. Bhatnagar will operate from New Delhi and will take over the duty of reinforcing the agency's end-to-end digital offerings in the northern market. Commenting on the appointment, Chaaya Baradhwaaj, founder-MD, BC Web Wise, says, "North is a focus market for us. We need someone who not just understands digital as it is today, but has solid experience working with this medium end-to-end. Bhatnagar has been an out-and-out BC Web Wise loyalist, and now joins back with new flavours and learning. I'm confident of his ability to drive our Delhi branch's growth and transformation into a full-service unit." 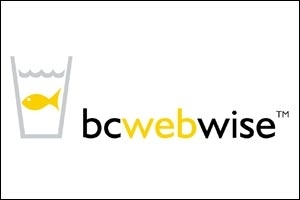 With some of its key clients based in Delhi-NCR, BC Web Wise's focus is on strengthening its Delhi unit to address the booming demand for online content and faster speed of execution. Bhatnagar's primary responsibilities will be to build and nurture teams and ensure quality service delivery in line with the agency's standards, and make the Delhi unit a profit centre for the agency. Bhatnagar's focus area will be to establish a locally-managed media division to complement the servicing and creative teams in the branch. Bhatnagar's vast experience has a huge role to play in building a comprehensive presence of the company, especially in the capital city. He will also be responsible for scaling up the business acquisition effort. Bhatnagar, who is quite upbeat about his new appointment, says, "I'm excited to join back at BC Web Wise. It's always a pleasure to work with a team that is so passionate about everything digital. I look forward to build a stronger presence in the region, and apply my learning to address the evolving digital needs of our clients." Bhatnagar has 15 years of experience in digital marketing. His last spell was at Havas Media as business director. He started his career in 2000 with MediaTurf, and then joined BC Web Wise in 2004. After four years at the agency, Bhatnagar moved to Quasar Media as associate business director, followed by stints at SapientNitro and Dentsu Digital. 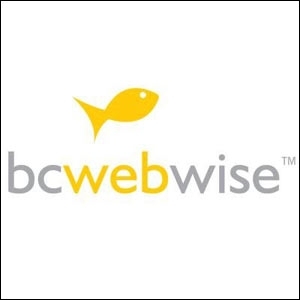 Founded in 2000 and led by Chaaya Baradhwaaj, BC Web Wise's client portfolio includes brands such as Hero MotoCorp, Hindustan Unilever, Pidilite Industries, ITC, Godrej Consumer Products, IDFC, and Emami. Its digital solutions range from website development and online marketing to media planning and buying, and extend to mobile platforms and web-based outdoor digital installations.